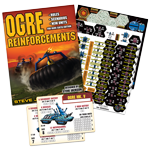 Five 3-D units (3 Ogres, 2 CPs), 56 counters, 25 overlays, and a rulebook. 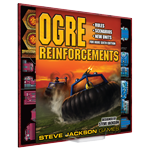 Get even more out of Ogre Sixth Edition with its first expansion, Ogre Reinforcements! This set features new units for both sides, eight scenarios, and more map overlays. 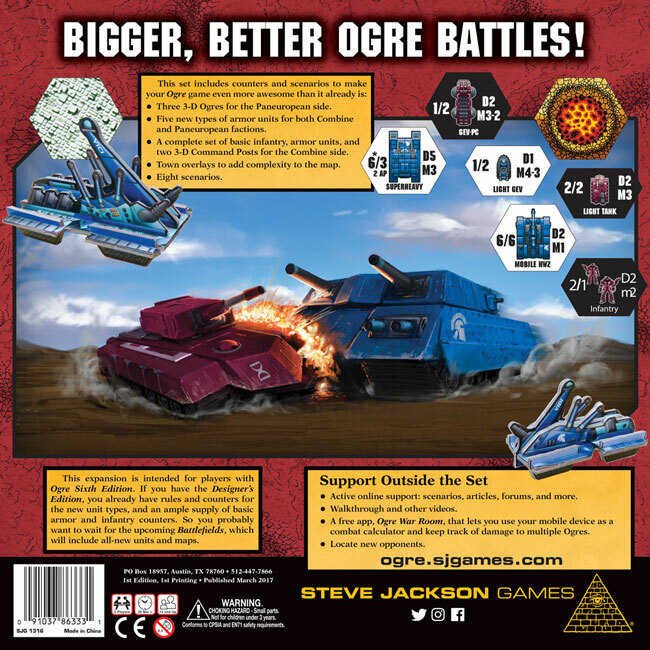 Components include three Ogres for the Paneuropean faction, a complete set of basic armor and infantry as well as two 3-D Command Posts for the Combine faction, and five new types of armored units for both sides. It also comes with town overlays for the map, which adds new complexities to movement and defense. 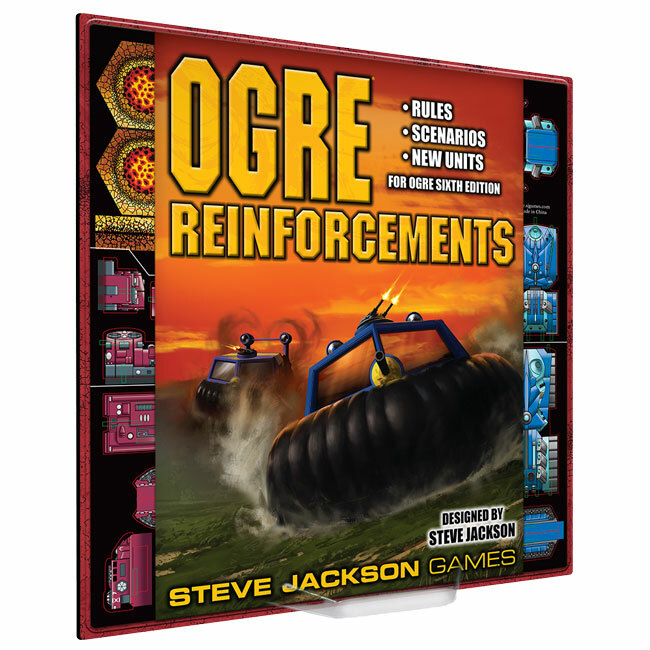 Eight scenarios, including five written by Ogre designer, Steve Jackson! 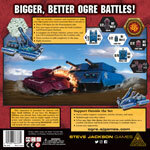 Ogre is the game of futuristic warfare, pitting squads of infantry, armor, and artillery against a single foe – the giant robot tank called the Ogre. Click here to learn more about the Sixth Edition. 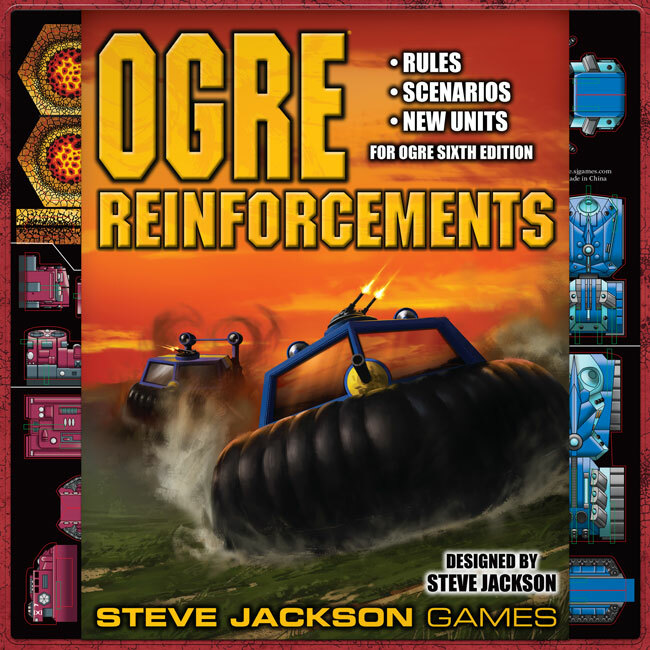 This supplement is intended for players with Ogre Sixth Edition. 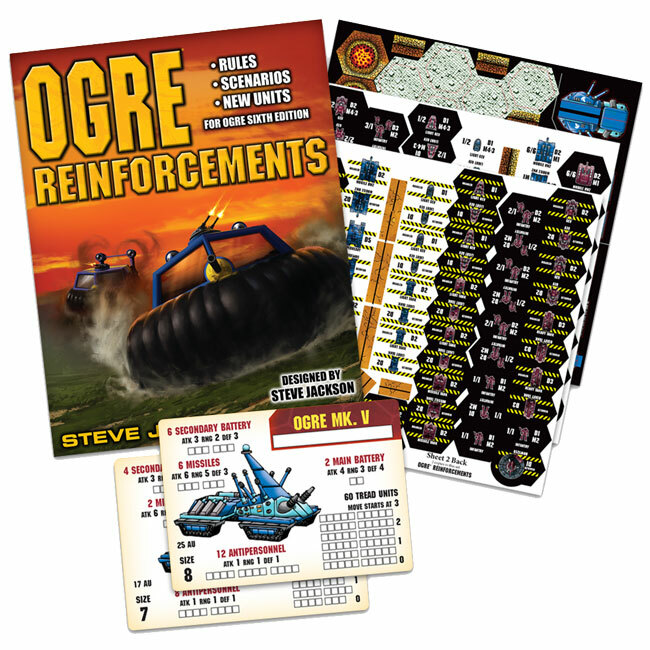 Owners of Ogre Designer's Edition already have the rules and counters for these units. 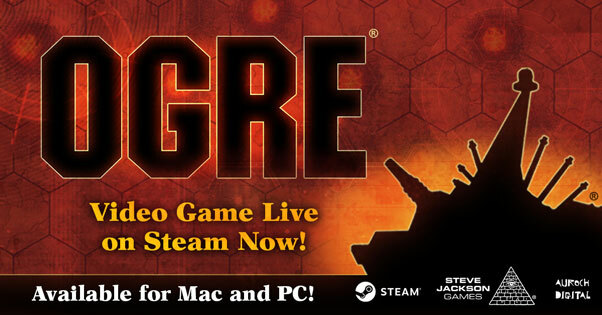 Compatible with Ogre Designer's Edition.